All Creation Sings from Growing in Grace Children's Music Curriculum finds its inspiration in Psalm 150:6, guiding children to recognize God as the Maker of all things. Children learn to honor the world around them as God's creation and express their praise and thanksgiving to the Lord of earth, sky, and sea. 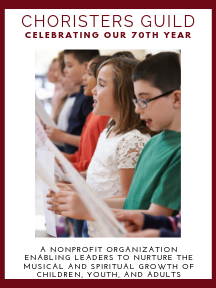 Each semesterÃ�s 15-week unit includes songs, hymns, demonstration and accompaniment recordings, KIDPages, Song Teaching Steps, small- and large-group teaching activities, and colorful visuals. Preschool and Younger Children units also include step-by-step rehearsal plans.